What is the Best advertising opportunity in the next few month? Boost Your Ads Revenue by up to 100%! Our exclusive direct Pop-Under traffic will give your offers the amount of exposure you are looking for! Your ads will be shown primarily on direct sports sites, streaming sites, crypto sites, and file sharing sites. It's the perfect opportunity to share your top crypto, gambling, and sports betting offers. With the Champions League semi-finals, the NBA playoffs, and the Giro d'Italia cycling tour coming up this week it is your chance to shed new light on your offers and get instant results. Contact and start enjoying the benefits of our direct site's inventory. High Converting Traffic For Advertisers GUARANTEE! ** API integration, direct link: JS tag, rotating tags etc. Expand your business - We display over 30 BILLION impressions monthly on premium publishers websites. Ping me and let's go! 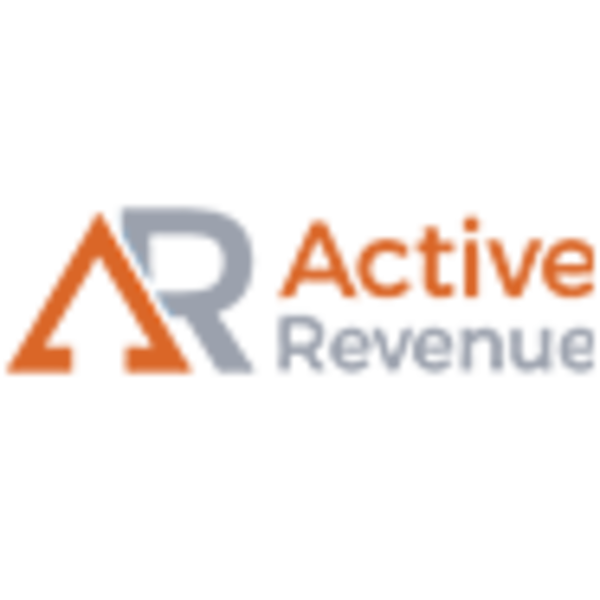 ActiveRevenue is leading International Online advertising network. An innovative marketplace where advertisers get the highest results and publishers monetize their valuable traffic! Our professional approach, latest internet marketing techniques, and advanced technologies are at your disposal for reaching your ambitious goals. It is needless to say that our traffic generated in house so we know the quality! We can sell the traffic through our self serve (activerevenue.com) or through programmatic integration (adventurefeeds.com). 'll be at AWA in Bangkok. Let's chat and make some business! ActiveRevenue Helps you to Get full control of our world-class self-serve platform for online advertising where we focus, conversion and ROI. Need to promote your product for Web or mobile app? Our powerful programmatic solution enables you to easily plan, manage and analyze your advertising campaigns. Every day we deliver over 8 BILLIONS of mobile and desktop ad impressions to billions of potential clients, for more than 185 countries. We have Mobile and Display Banners. Our innovative self-serve platform is one of the most cutting-edge solutions for selling traffic. It was created for online business owners, media buyers, affiliate marketers, mobile app developers and anyone there looking for high-quality traffic. The Best Traffic In The Market Available Now! ActiveRevenue Traffic in all verticals available now! Create your campaign easily, use our wide variety of targetting options and start enjoying quality traffic to your landing page! Earn more and spend less with our new bid optimization engine. Make sure you have a postback URL integrated into your campaigns and let the algorithm optimize in real time. Keyword targeted traffic that works for all kind of offers. You can run it RON too. Recommended! !!!! High Quality Zero click Traffic available!!!! High quality CPM pop-Under traffic for sell!! We have website high quality and converting traffic to sell. Our platform offers best quality website traffic from all around the world. Best deal and best bonuses. Buy traffic for 500$ and you get 10% more traffic as a bonus. Create your account and start making money guarantee! Are you looking for Direct Inventory? US Market? Europe? Latin? Asian Display Desktop, Mobile, no intermediaries! direct Traffic from trusted sources! increase your ROI and conversion with our supreme Traffic.our Self-Serve Advertising Platform provides marketers and mobile developers a turn-key solution to plan, manage, and optimize online ad campaigns across the tens of thousands of sites. Launch campaigns in minutes using our intuitive campaign builder and traffic estimator. Adjust your bids, budgets, schedule and targeting at any time. Every day we deliver over 10 BILLIONS of mobile and desktop ad impressions to billions of potential targeted clients, for more than 185 countries. View all campaign statistics and data at a simple glance and optimize your campaigns to achieve your goals. The advertiser dashboard gives you access to user-friendly reporting in near real time. This allows you to quickly and easily see how your ad campaigns are performing. why working with our self serve?!! campaign builder and traffic estimator. Analyze your campaigns results and gain valuable insights to make data-driven decisions. An intuitive and streamlined campaign builder guides you through the process of target selection, ad placement, scheduling and budgeting in a few simple steps. Our real-time traffic estimator helps you see how a campaign’s bid and targeting settings change your ad’s reach. Control your ad spends with daily and total campaign budgets. ActiveRevenue is seeking for new partners, We are looking for sweep stake, mobile content, games, subscribes , gambling , dating , fashion , finance offers to run on our traffic. We have dozens of converting traffic at all verticals and niches are welcome. Our traffic is WW and comes from direct websites, so its quality is without any doubts. Feel free to PM me. I'm always happy to share any information! We are Selling OS targeted HQ tech support traffic on cpm model. Great results guaranteed ! If you are looking for tons traffic source that can run your ads join www.activerevenue.com . We got amazing self serve platform in which you can buy all the traffic you need for your offers. Available ad formats are Pop-under , Banners , Native ads. We are an ad network, specialized in selling high quality traffic on CPM basis. We have HUGE WW volumes on pops, native ads and banners from direct publishers! Kindly add me on Skype so we can continue our discussion more fluently. Bat-Ads is selling Adult traffic and looking for Adult DSP. We are interested only in Open RTB integration.